Discover where the first apple was planted in the Okanagan. The Father Pandosy Mission built in 1859 gives visitors a glimpse into what life was life for the early settlers whose strength made our beautiful province what it is today. If you live in Kamloops you have no doubt heard about the tunnels under Tranquille. Built as utility corridors when the property was used as a Tuberculosis hospital they hold a certain mystery yet they have been closed to the public until now. A portion of the tunnel is now open as a part of their interactive theatre shows. Once an important stop along the Cariboo gold rush trail, the historic Hat Creek Ranch is now a historical site where people can go back into the past and learn about life during the gold rush and have a ride in an authentic stagecoach. A tour of British Columbia's historical places would not be complete without a visit to the birthplace of our great province. It was here where on November 19, 1858 that James Douglas, the newly sworn in Governor proclaimed the land to be the Colony of British Columbia. A pit stop at the bullet hole saloon at the Quichena Hotel is a must. 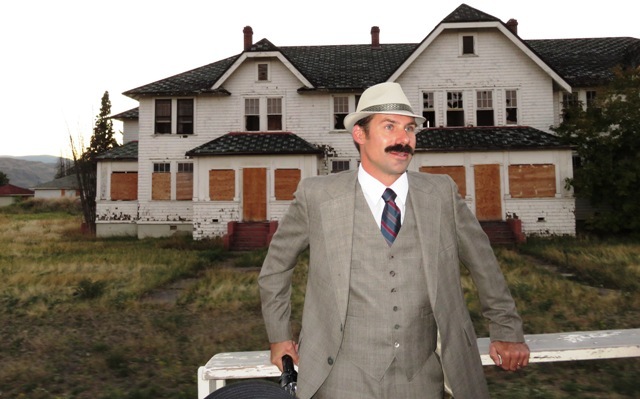 Once a popular watering hole for cowboys working at Douglas Ranch, it's now a popular tourist attraction and has even hosted actor Jack Nicolson. People love to have a drink and ponder how those three bullet holes really got into the bar. 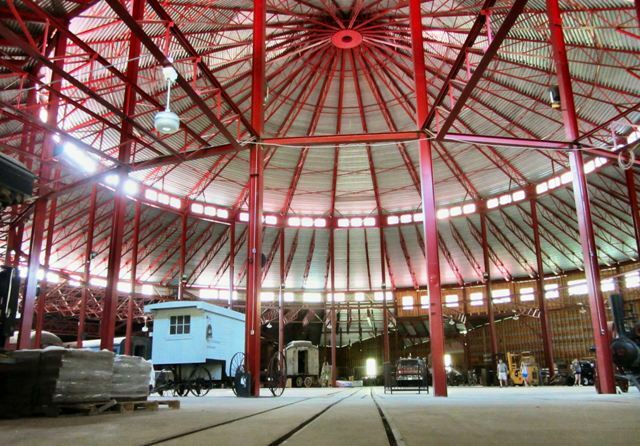 Learn about the steam engine era inside BC's biggest functioning roundhouse. These were used to turn trains around but got lost to new technology. They also have a ghost town full of historical buildings that were re-located to the site and filled with artifacts from days past. Once a booming mining town this town sleepy small town is a stop along the Kettle Valley Railway trail. 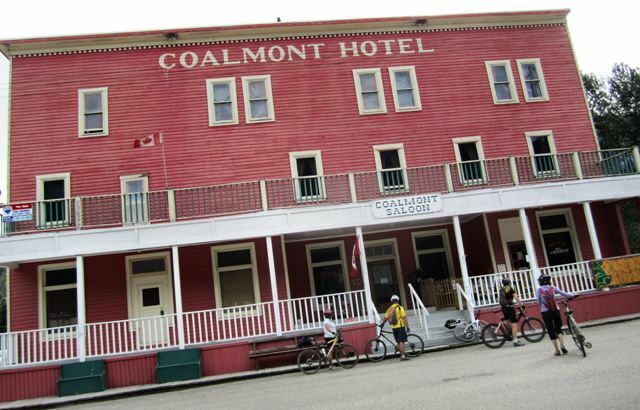 Bikers love to stop in for a drink at the Coalmont Saloon and see if they can spot one of the many ghosts that are rumoured to haunt this historic building. Book a tour of Vidette Lake's Center of the Universe with caretaker Ray Stad and he may bring you to this hidden treasure. He calls it the ghost farm as it has a bit of a deadly history. 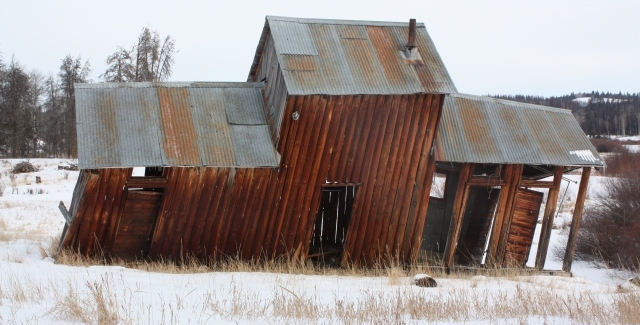 My favorite building on the property is the leaning shed. 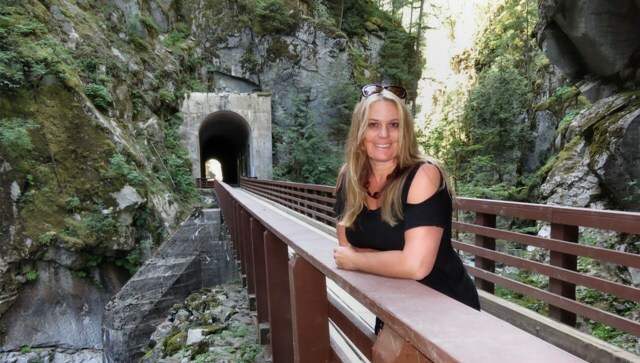 Built as part of the Kettle Valley Railway, these abandoned tunnels have been transformed into one of the most beautiful walks in the world. Learn about some train history while enjoying the rushing water of the Coquihalla River.